The HK 500 Pressure Lantern is probably the best-known high-pressure paraffin lamp in the world. For more than 100 years. This weather-resistant and these reliable lamps have provided light for expedition, relief charities, and many camping adventures. It is the Land Rover of the lantern world. Learn its personality and you will have a reliable piece of kit to light your campsite. The Petromax HK 500 Pressure Lantern. The Petromax HK 500 is probably the best-known high-pressure lantern in the world. For more than 100 years, this weather-resistant and reliable lamp has been used in many different situations. Fishermen, for example, have been taking advantage of its powerful 400 watts to cast for fish at night. In the middle of the 19th century, the craftsman Albert Graetz and the businessman Emil Ehrich founded the lantern factory “Ehrich & Graetz.” With the goal of manufacturing lanterns with a brighter light than candles and standard kerosene lamps, the founder Albert Graetz carried out several experiments to find a solution – but he had no success. In 1889, the company management was shared by his two sons Max and Adolf. In 1910, Max Graetz invented a kerosene lamp that worked on the principle of a carburettor, a tank under pressure, and a gas mantle. Since Max went by the nickname of “Petroleum-Maxe” (Kerosene Maxe), a name for the lantern was found very quickly: Petromax. 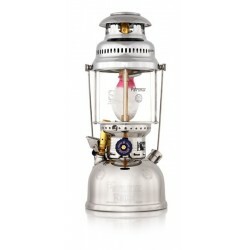 Immediately, the Petromax lantern became a successful best-seller. Today, the HK500 is perhaps the best known pressure lantern in the world. Petromax products are marketed by the Petromax GmbH in Magdeburg, Germany. Finishing and quality assurance for all Petromax products is done in Germany to guarantee high product quality. 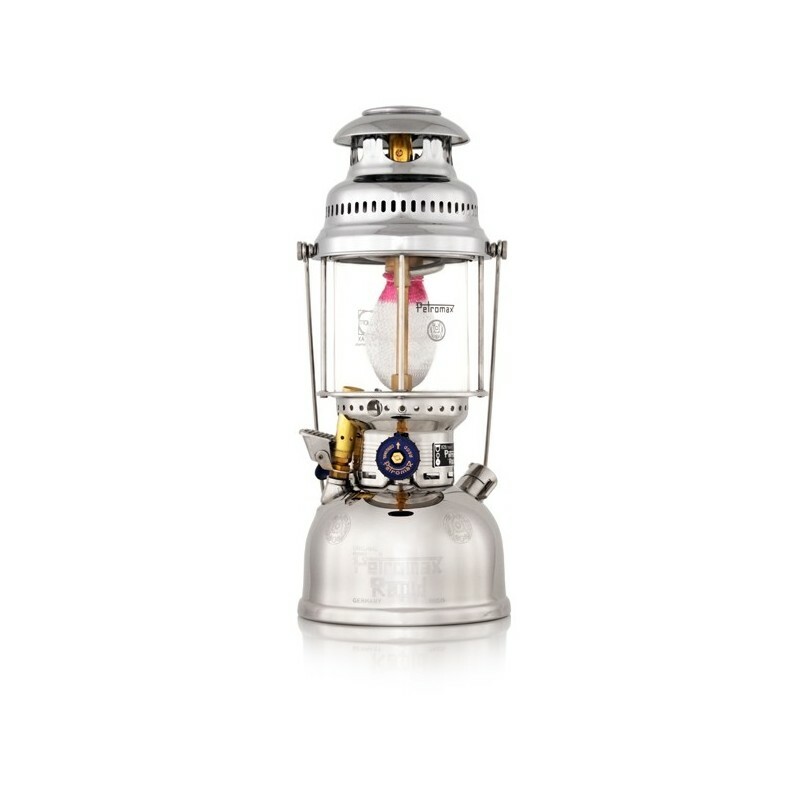 Then, as now, the Petromax lantern is an eye-catcher that is made up of more than 200 pieces. Fishermen profit from over 400 watts power output to cast for fish at night. Moreover, many fascinating stories have been told around a Petromax lamp on a camping-tour. Aid organisations and military forces also count on the Petromax. Petromax embodies not only a reliable and independent light source but also elegance and quality. The passion for the product and the respect for the tradition as well as a genuine enthusiasm of clients are the foundation on which the Petromax brand has been built. That way, the Petromax GmbH in Magdeburg, Germany offers a unique light to all outdoor enthusiasts and globetrotters. We are able to supply the fuill range of accessories and spares for the Petromax HK 500 pressure lantern and also offer a mail based repair and servicing service.